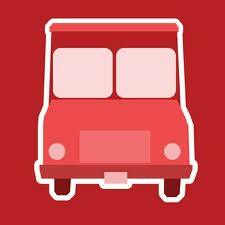 This Saturday September 27th is the first annual Cheverly Food Truck Festival! The festival starts at 5pm and last until the sun goes down. Admission is FREE! And a dessert tent with yummy pies, cakes and cotton candy being sold to benefit Vine Corps. Vine Corps will also be raffling a basket filled with over $700 worth of Gift Certificates donated by local businesses. Positive Vibrations Youth Steel Orchestra will be performing from 5-7! Balloons by Brenda will be offering FREE Balloon Twisting. This year’s festival is being held in the parking lot of the Cheverly Swim & Racquet Club located at 5600 Euclid Street in Cheverly, MD. It’s next to the new Dragon Playground at Euclid Park- Near the intersection of Crest Ave & Euclid Street. Parking is available in the pool’s lot, along Euclid and Crest Ave.
Come join us for delicious foods, steel drum band and family friendly entertainment. It promises to be a fun night. Everyone is welcome! Make sure to Bring a chair or blanket so you can hang out and enjoy all the festivities in comfort! Some food trucks accept credit cards but we also encourage you to bring cash for things like beer, face painting, and cotton candy. Next Post New Home On The Market!